Candidates who have appeared for the University Grants Commission National Eligibility Test (UGC NET) computer-based test (CBT) and waiting for their answer keys then, the National Testing Agency will soon to release the answer keys on its official website. 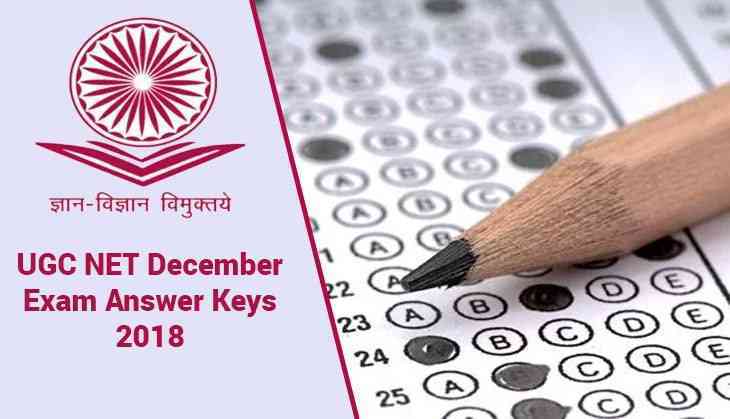 As per the reports, the answer keys for the December examination which was held from 18th December 2018 and concluded on 22nd December 2108. This year over 1,8 lakh candidates had appeared for the examination that was concluded on 22nd December 2018. As per the reports, there were a total of 65.3 percent candidates had appeared for the exam on Day 1 while on Day 2, there was 72.8 percent had appeared. Reports suggested that the results for the UGC NET exam will be released in the month January 2019 by NTA. Candidates are advised to keep their eyes on the official website of NTA to know the details about the exam. Because all the details like answer keys, exam result or any other relevant information will be uploaded first on the official website.